May 15 National Day of Action on 5G — How to plan your rally and make it a big success! New York Times Article Disregards the EMR Science, Misleading the Public in Suggesting Newer Cell Phones Are Less Dangerous than Earlier Generation Phones: The public deserves the full truth about cell phone radiation, including cancer risks, and a broad range of other serious health risks from the coming 5th Generation (5G) technologies. 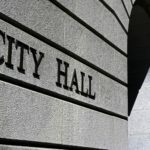 California Cities Now Limiting 5G/Small Cells: Petaluma, Mill Valley and Other Cities Writing and Updating Ordinances to Maintain Control of Utility Poles and Cell Towers. The report “Re-Inventing Wires: The Future of Landlines and Networks” can be found here. It explains that we do not have to be dependent on wireless to meet our needs. The Author is Timothy Schoechle, PhD is a communications technology expert, international consultant in computer engineering and standardization, former faculty member of the University of Colorado, College of Engineering and Applied Science and Senior Research Fellow, National Institute for Science, Law & Public Policy (NISLAPP). The Publisher is the National Institute for Science, Law & Public Policy (NISLAPP) under the direction of Camilla Rees, MBA. NISLAPP is a 501(c)(3) non-profit based in Washington, D.C. whose mission is to reconcile legal and scientific concerns in the formulation of intelligent, safe and sensible public policy. Scientists call on the World Health Organization International Agency for Research on Cancer to re-evaluate the carcinogenicity of cell phone radiation after the Ramazzini Institute and US government studies report finding the same unusual cancers. The objective of this paper is to review the existing studies of people living or working near cellular infrastructure and other pertinent studies that could apply to long-term, low-level radiofrequency radiation (RFR) exposures. Read the whole article here. What portion of the Radio Band is Used by Mobile Phones in US? On November 11, 2010, agree to turn off you cell phones for one hour from 12PM to 1PM for three good reasons… Read more here. Important review by Levitt and Lai on Biological Effects of Antennas. We are a nation grown numb to the seemingly endless fine print that accompanies our purchases. But every now and then a product is sold with a warning that should command attention. Consider the little-noticed bit of legalese that comes in the safety manual for Apple’s iPhone 4… Read the whole article here. Cordless phones, which transmit a similar pulsed signal as Wi-Fi networks at 2.4 Gigahertz, have been shown to impact heart rate in new research published today in the European Journal of Oncology. Read more here. The Federal Communications Commission has changed its guidance to cellphone users worried about the health effects of wireless devices, dropping a long-standing recommendation that concerned consumers purchase phones with lower levels of radiation emissions. Read the whole article here. If anyone would be receptive to the idea that cell phone radiation might play a role in cancer, it would be Dr. Devra Davis. The epidemiologist and toxicologist is an expert in environmental health, and she’s made a career out of the idea that cancer often has more to do with what’s happening to us than what’s going on inside our genes. Read the whole article here. OTTAWA — A British scientist and former naval weapons expert has waded into the debate over the safety of wireless networks in Canadian schools, warning generations could face genetic disorders because of prolonged exposure to low-level microwaves. Read the whole article here. There’s an old saying that a camel is a horse designed by a committee. Welcome to Interphone. The good news is that the Interphone paper has finally been made public after a four-year stalemate within the 13-country research team. Read the whole article here. Lab rats with cellphones? Our wireless lifestyle is making us all unwitting test subjects. We love our digital gadgets — “magic” devices that define cool and promise to remake our lives for the better. But there is growing evidence of a dark side to the techno-magic. Your cellphone, and any other wireless device that depends on electromagnetic (EM) microwave radiation to function, may be hazardous to your health… Read the whole article here. Warning: Your Cell Phone May Be Hazardous to Your Health. Ever worry that that gadget you spend hours holding next to your head might be damaging your brain? Well, the evidence is starting to pour in, and it’s not pretty. So why isn’t anyone in America doing anything about it?… Read the whole article here. In 1990, the city of La Quinta, CA, proudly opened the doors of its sparkling new middle school. Gayle Cohen, then a sixth-grade teacher, recalls the sense of excitement everyone felt: “We had been in temporary facilities for 2 years, and the change was exhilarating.” But the glow soon dimmed… read the whole article here. Are cell phones safe? Why do some nations advise that children not use cell phones? Growing numbers of scientific reports find that heavy users of cell phones face increased risks of brain tumors, reduced sperm count and other serious health problems. Read more here. Full Signal, a documentary film about wireless technology, premiers at the Santa Fe Film Festival. For more information about the film and screenings — including information about this Wednesday’s screening in Santa Fe — go to www.fullsignalmovie.com. Listen to the Voice of America radio report on The EMR Policy Institute’s Conference on Electromagnetic Radiation Impacts on Human Health that took place on November 8, 2009 at The School of Mines in Golden, Colorado. Dr. Oz will be dedicating his Tuesday, November 17, 2009 television show to cell phones and the brain. He will be interviewing Alan Marks, who has brain cancer; Mr. Marks’ wife, Ellen; Devra Davis, PhD, MPH, an epidemiologist and professor at the University of Pittsburgh and also founder of the Environmental Health Trust; and, Dr. Joell Moskowitz, a professor at the University of California, Berkeley. Check here for local listings. The purpose of the conference is to share the expertise from many of the worlds leading international scientific experts on the biological effects of microwave radiation and to develop policy recommendations to find a safer way forward in order to protect public health from exposure to emissions from mobile phones, phone masts, Wi-Fi, DECT phones, WIMAX and other forms of wireless technology. Read more here. Listen to Layna Berman, on “Your Own Health and Fitness” radio show, interview environmental consultant Cindy Sage. Ms. Sage talks about the World Health Organization (WHO) Interphone study intended to set international standards for wireless exposure levels. Although not officially published, it appears that the study has concluded that there is a significant risk for brain tumors from cell phone use. This is far stronger than anyone expected. In addition to Interphone learn what it means for cell phone regulation, Ms. Sage takes a critical look at the Environmental Working Group’s recent report on cell phones and what Interphone tells us about the risks from other wireless technologies such as WiFi, PDAs (Blackberries, etc. ), and cordless phones. This interview of “Your Own Health And Fitness” was broadcasted Tuesday, 10/27/2009 at 1pm on KPFA 94.1FM Berkeley, CA and on KFCF 88.1FM Fresno, CA. They broadcast from other stations throughout the week. Check their list of stations that carry the show for other dates and times. Click here to view the Your Own Health And Fitness web site and listen to the interview on Wireless Technology Health News. French health agency recommends reducing exposure to mobiles. 15 oct 2009 Telecompaper Europe. Copyright 2009 Telecompaper. All Rights Reserved. Note: Last week, the French government banned cell phones in schools. Read more here. Analysis of cellphone studies finds tumor risk. Read the full story in The Los Angeles Times. Federal Communications Commission (FCC) in Industry Camp Seeking Further Pre-emption of Local Control of Wireless Antenna and Tower Siting. Monday September 14, 2009 – Senator Arlen Specter will hold a hearing on brain tumors and cell phones before the Subcommittee on Labor, Health and Human Services, Education, and Related Agencies of the Senate Appropriations Committee. The witness list can be viewed here. The hearing will convene at a 2:00 PM in the Dirksen Senate Office Building in Room 138. Cell Phones and Health: Is There a Brain Cancer Connection? The Advocate – The great cell phone cover-up may be coming to an end. A new report may finally wake the public up to the brain-cancer risks of cell phones and force necessary preventive measures. A new report, endorsed by a prestigious group of international scientists, finds that there is a risk of brain tumors from cell phone use, that industry studies underestimate this risk, and that children have much greater risks than adults. The report, therefore, sends a message to four billion users worldwide and to the $4 billion cell phone industry that they may be facing the same kind of bad news that first burst on the scene for the tobacco industry. Read the full story. 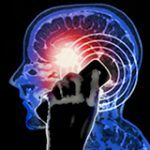 Cellphones Cause Brain Tumors, Says New Report by International EMF Collaborative. the U.S.,The EMR Policy Institute, ElectromagneticHealth.org and The Peoples Initiative Foundation. Click here to download the report. Cell Phones in Classrooms as Educational Tool? Please read and forward to others who might be able to sign on to this Sprint sponsored discussion on selling cell phones to schools for students to use as an educational tool in the classroom. The marketing to cash strapped schools is strong right now and one wonders what motivates school districts to seek additional revenue to pay for new wireless digital technology when teachers are being laid off and many programs and services are being eliminated. Your participation in this program would provide a public venue where questions about health can b e raised on behalf of children, youth and school personnel. Click here to read more. “Disturbance of the immune system by electromagnetic fields — A potentially underlying cause for cellular damage and tissue repair reduction which could lead to disease and impairment,” a review by Dr. Olle Johansson, published in the Journal PATHOPHYSIOLOGY. Click here to read Dr. Johansson’s study. New study on cell phones concludes that there is adequate epidemiologic evidence to suggest a link between prolonged cell phone usage and the development of an ipsilateral brain tumor. Click here to read more. International Scientists Find Harmful Effects from Wireless Technologies and Urge New Safety Rules for Cell Phones. Click here to read more. CTIA Petition to the Federal Communications Commission (FCC) is still pending. Action Alert – Urge Congress on EMF Safety – Petition Now! Action Alert — Urge Congress on EMF Safety – Petition Now! Let’s band together and create change! Exposure guidelines for electromagnetic fields are obsolete, and we are asking you to take action so our health, and the health of our children and unborn children, is no longer subject to the biological effects of excessive levels electromagnetic fields. Please Sign Electromagnetic Health’s Petition to Congress. Click here to read more. Action Alert — Industry Group Seeks to Further Erode Local Control of Wireless Antenna and Tower Siting. Attention cell phone, WiMax and other wireless companies: West Linn-Wilsonville School District in Oregon doesn’t want your towers near its schools no matter how much money you offer. Click here to read the story from The Oregonian newspaper. New Deadline For Comments to be sent to the Federal Communications Commission (FCC) is now September 29, 2008 (Extended from September 15) Click here to read more details. Industry Group Seeks to Further Erode Local Control of Wireless Antenna and Tower Siting. Send Comments to the Federal Communications Commission (FCC) by September 15, 2008 Click here to read more details. Dr. Joesph Mercola of Illinois discusses the risks of cell phone use. Click here to read the whole article. THE ASSOCIATED PRESS: Pitt’s Cancer Institute warns staff about possible cell phone risks. Larry King Live – Panelists on the Larry King show weigh in on whether cell phone use contributes to cancer. Click to watch a video of the Larry King interview. Tower erected in historic Chimayo, New Mexico – Residents of Chimayó, including members of the Chimayó Council on Wireless Technology, were surprised by the construction of a T- Mobile wireless tower at a sensitive location both in relation to the health effects caused by the emission of non-ionizing radiation and damage to the value of the historical and scenic ambience of their traditional community. The tower was erected around February 1 and went on online March 24. The T-Mobile tower looms over the Benny Chavez Community Center which houses the Chimayó Senior Center, provides space for many community gatherings, and hosts a playground.. The Chimayó Conservation Youth Corps is housed not far down the road at the Manzano complex. Within a short walking distance of the tower are the Presbyterian Church, El Buen Pastor, and the Interfaith LEAP Center that provides interdenominational health and social services. Chimayó’s citizens are proud of their history and unique natural setting with its special historical and cultural features. The tower degrades the beauty of the cerros that cradle the Chimayó valley to the east and the historical value of the nearby Plaza del Cerro, the only complete fortified colonial Spanish plaza still remaining in northern New Mexico. The Chimayó History Museum is housed in the Plaza. The Ortega Weaving Shop, where local weavers have sold their craft for generations, is even closer to the tower. And one views the structure as one approaches the sacred pilgrimage Santuario church, both from the western and southern routes. Chimayó residents and their representative organizations were not adequately consulted by the T-Mobile company when plans were afoot to construct this tower. Alarmed by the tower and plans for additional towers, local citizens want the tower removed. Sydney Morning Herald, Sydney, Australia: A study will begin in Australia this week to find out if mobile phones are damaging the health of children. Click here to read the article. Citizens Group Challenges FCC Refusal to Investigate Health Effects of Broadband Transmissions. Citizens Group Challenges FCC Refusal to Investigate Health Effects of Broadband Transmissions. Washington, D.C., — A group of scientists, engineers, and community leaders has asked the D.C. Court of Appeals to order the Federal Communications Commission (FCC) to initiate scientific research into the health effects of wireless transmission of 3rd Generation (3G) digital signals from the increasing level of broadband technologies and other radiofrequency (RF) transmitters in residential communities and areas near schools and hospitals. The EMR Network (EMR) petitioned the FCC 3 years ago to open an inquiry into current environmental impacts of RF radiation. Last August the FCC denied the request, disclaiming any responsibility. EMR filed its brief seeking to reverse this action late last week. Under the Telecommunications Act of 1996 the FCC has sole jurisdiction to determine acceptable levels of RF radiation in populated areas. Its present guidelines were developed almost 20 years ago. Citing the increasing number of international studies finding biological effects from RF radiation, EMR asserts that the FCC is obligated to review its obsolete guidelines without further delay. Whitney North Seymour, Jr. is providing legal counsel for this appeal pro bono. His legal career has included private practice, a term as federal prosecutor for New York, and public interest work with a particular interest in environmental law, having co-founded the Natural Resources Defense Council in 1969. March 2003 Fact Sheet entitled, “Studies on Radiofrequency Radiation Emitted by Cellular Phones,” from the National Toxicology Program/National Institute of Environmental Health Sciences (NTP/NIEHS). The NTP is in the design phase of a number of studies to be conducted on Electromagnetic Radiation (EMR); this fact sheet describes the status of NTP research efforts. Parents’, students’ and community opposition to placement of AT&T cell phone antennas on Sullivan Heights High School in Surrey, BC prevails. This account comes from Milt Bowling, coordinator of Canada’s Electromagnetic Radiation Task Force and board member of The EMR Network. Milt participated in the public hearings. Environmental Groups Sue FCC over Cell Phone Towers – The Forest Conservation Council (FCC), the American Bird Conservancy (ABC) and the Friends of the Earth (FoE) filed a lawsuit against the FCC (Federal Communications Commission) in the U.S. Court of Appeals for the District of Columbia. The suit alleges that the FCC violated the National Environmental Policy Act, the Migratory Bird Treaty Act and the Endangered Species Act by allowing 5,820 cell phone towers to be constructed along the Gulf Coast of the U.S. from Tampa, Fla., to Port Isabel in Texas. The groups say that tens of thousands of migratory birds have been killed by flying into the towers or their support wireless at night and when visibility is poor. The Health Council of the Netherlands has released a new report recommending the establishment of a “center of expertise” on health effects of electromagnetic fields and also made recommendations for proposed research studies designed to address “important gaps in knowledge and which questions should be answered first to meet public disquiet.” A copy of the executive summary is available in English. A bibliography from Professor Roger Santini, researcher at the NationaI Institute of Applied Science in Lyon, France: ” PUBLICATIONS ABOUT THE HEALTH OF PEOPLE LIVING IN VICINITY OF CELLULAR PHONE BASE STATIONS.” He has compiled this list to counter assertions that no studies exist on this subject., that base station antenna radiation is too weak to affect those living near them, or that studies on this subject are impossible to carry out. The Association for Comprehensive Neurotherapy discusses electrical sensitivity and the impact of wireless technology on the development and health of children’s central nervous systems. This article first appeared in their journal Latitudes. See also the archived forum on Electromagnetic Radiation with featured guest Margaret Meade Glaser. Headaches, nausea, dizziness, short-term memory problems, fatigue, and other complaints resulting from cellular phone use are not due to low-level heating of the brain; instead, they’re apparently caused by the head serving as an “antenna” and brain tissue as a radio receiver, according to two Jerusalem researchers. Zvi Weinberger, a physicist who heads the applied physics department at the Jerusalem College of Technology, and Dr. Elihu Richter, head of the occupational medicine unit at the Hebrew University-Hadassah Braun School of Public Health, suggested this in the latest issue of the journal Medical Hypotheses. Mobile phones, they explained, “broadcast specifically at frequencies at which the head serves as an antenna and brain tissue serves as a demodulating radio receiver.” Thus, precaution must be taken in the use of cellphones, they wrote. They called for a “reexamination of the assumptions” underlying the US Federal Communications Commission statement that the typical radio frequency exposures to cellphones are safe. Twenty-two medical doctors of the Interdisciplinary Association for Environmental Medicine (Interdisziplilnare Gesellschaft fur Umweltmedizin e. V. – IGUMED) met in Germany in order to discuss the increasing burdens brought on by high-frequency-radiation (radiofrequency/microwave radiation) and to talk about possible remedies. A result of this meeting is the October 9, 2002, “Freiburger Appeal.” (See excerpts below. Click here for the entire document: English, French, German, Italian, Spanish.) *Spanish version will be posted soon. On Thursday October 10, 2002, bills were introduced in the U.S. Senate and the U.S. House of Representatives to strengthen and reaffirm local control for the siting of Broadcast and Personal Wireless Services (Cellular) Towers and antennas. See the complete text of these bills. From Bill Evans – Director of Old Bird, Inc.: Follow the links below for a significant development in the bird mortality at communications towers issue. The actual petition to the FCC was masterminded by the Forest Conservation Council with support from the American Bird Conservancy and Friends of the Earth. Lightning strikes rooftop mobile phone and paging antennas: two people sent to the hospital. March 22, 2002 Talking on a mobile phone whilst driving is MORE dangerous than being drunk behind the wheel from Direct Line – SHOCK new research published today (Friday, 22 March) reveals that talking on a mobile phone whilst driving is more dangerous than being drunk behind the wheel. Tests carried out by scientists at the Transport Research Laboratory established that driving behaviour is impaired more by using a mobile phone than by being over the legal alcohol limit. Talking on a mobile phone whilst driving is MORE dangerous than being drunk behind the wheel from Direct Line – SHOCK new research published today (Friday, 22 March) reveals that talking on a mobile phone whilst driving is more dangerous than being drunk behind the wheel. Tests carried out by scientists at the Transport Research Laboratory established that driving behaviour is impaired more by using a mobile phone than by being over the legal alcohol limit. The Institute of Electrical and Electronics Engineers has retreated from a grass-roots effort to relax mobile-phone radiation safety guidelines, but the group continues to dismiss non-thermal biological effects that some studies suggest could be harmful to human health. An IEEE working group made the decision to scrap a preliminary draft of the radio-frequency radiation standard at a meeting with federal regulators in Motorola Inc.’s laboratories at Plantation, Fla. The draft sparked controversy after news reports revealed it would significantly lower radiation exposure limits and eliminate the distinction between workers and consumers. See our original posting below and the EMR Network’s press release. “THE CHILD SCRAMBLER: What a mobile can do to a youngster’s brain in two minutes.” (Sunday Mirror, December 27, 2001)These are the first images that show the shocking effect that using a mobile phone has on a child’s brain. Scientists have discovered that a call lasting just two minutes can alter the natural electrical activity of a child’s brain for up to an hour afterwards. And they also found for the first time how radio waves from mobile phones penetrate deep into the brain and not just around the ear. The mobile phone invasion is an unprecedented experiment, pitting market forces against the health of the population, particularly the young. Governments, cashing in on the licencing bonanza, wave through plans for a forest of phone masts. Emissions guidelines are drawn up to minimise costs. Here, The Ecologist looks at the issues, beginning with a damning report which, says David Edwards, points to evidence of a cover-up. It may be good to talk, but why isn’t anyone listening? A working draft originating from Subcommittee 4 (SC-4) of the Institute of Electrical and Electronics Engineers (IEEE) International Committee on Electromagnetic Safety (ICES), commonly known as SCC-28, proposes a significantly more lenient standard for exposures (see note below) of the general public to radiofrequency and microwave (RF/MW) radiation. The working draft proposes setting a single standard for all segments of the population and would eliminated the fivefold safety factor that presently is used to give children, the elderly and the infirm more protection than workers. The EMR Network has received communication from Mr. Stanziola, who is employed as the manager, Standards Licensing and Contracts, IEEE Standards Activities, asserting that these draft standards are copyrighted intellectual property. The EMR Network believes that it is in the public interest to inform the public about this document and that it is “fair use” under copyright laws. The posting is not done for commercial purposes. In a phone call from Dr. C.K. Chou, Co-Chair of IEEE’s SC4 of SCC-28, the EMR Network has been informed that this draft revision should not be attributed to any IEEE committee or subcommittee. It is a working draft that is subject to change. There has not been any deliberation by any committee members on this proposal as yet. The meeting for those deliberations scheduled for Sept. 13-14, 2001, at the FCC in Washington, DC, was postponed due to the terrorist attacks. That meeting has been rescheduled for January 10-11, 2002. “Research Reveals Cell Phone Hazards” – published in the on-line Industry Standard, By International Data Group Aug 07, 2001. 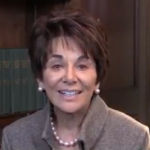 It’s time to write to your members of Congress and request that they cosponsor the legislation proposed by Senator Leahy and Jeffords of Vermont, Congressman Sanders of Vermont and Congressman Tancredo of Colorado on radiofrequency/microwave (RF/MW) radiation health effects research, and strengthening local authority for siting of mobile phone and broadcast facilities. Go to Action Alert. Go to our Regulations page to learn about the new STOA report done for the European Parliament. As you’ll read, Ms. Devlyn knows whereof she speaks. She places Jim Jeffords’ decision to become an independent in its correct historical and personal context. Peg Devlyn, author of “Independent Jeffords.” This commentary was written for Vermont Public Radio and aired on 29 May 2001. Permission was granted to the EMR Network to distribute Ms. Devlyn’s “Commentary” on June 1, 2001.